According to the Department of Defense Dictionary of Military and Associated Terms, an AOR is the “geographical area associated with a combatant command within which a geographic combatant commander has authority to plan and conduct operations.” Yet this anodyne definition fails to capture the spirit of the enterprise in which General Votel is engaged. One imagines that there must be another Department of Defense Dictionary, kept under lock-and-key in the Pentagon, that dispenses with the bland language and penchant for deceptive euphemisms. That dictionary would define an AOR as “a vast expanse within which the United States seeks to impose order without exercising sovereignty.” An AOR combines aspects of colony, protectorate, and contested imperial frontier. In that sense, the term represents the latest incarnation of the informal empire that American elites have pursued in various forms ever since U.S. forces “liberated” Cuba in 1898. To say that a military officer presiding over an AOR plans and conducts operations is a bit like saying that Jeff Bezos sells books. It’s a small truth that evades a larger one. To command CENTCOM is to function as a proconsul, to inhabit as a co-equal the rarified realm of kings, presidents, and prime ministers. CENTCOM commanders shape the future of their AOR — or at least fancy that they do. “In the wake of 9-11, the international community found Saddam Hussein’s continued lack of cooperation with United Nations Security Council (UNSC) Resolutions regarding weapons of mass destruction unacceptable. Hussein’s continued recalcitrance led the UNSC to authorize the use of force by a U.S.-led coalition. Operation Iraqi Freedom began 19 March 2003. Even so, as the current steward of CENTCOM’s culture, vision, mission, strategic approach, and priorities, General Votel remains undaunted. In his view, everything that happened prior to his assuming ownership of the CENTCOM AOR is irrelevant. What matters is what will happen from now on — in Washington-speak, “going forward.” As with Artie Shaw, serial disappointments leave intact the conviction that persistence will ultimately produce a happy ending. General Votel began by inventorying the various “drivers of instability” afflicting his AOR. That list, unsurprisingly enough, turned out to be a long one, including ethnic and sectarian divisions, economic underdevelopment, an absence of opportunity for young people “susceptible to unrest [and] radical ideologies,” civil wars, humanitarian crises, large refugee populations, and “competition among outside actors, including Russia and China, seeking to promote their interests and supplant U.S. influence in the region.” Not qualifying for mention as destabilizing factors, however, were the presence and activities of U.S. military forces, their footprint dwarfing that of Russia and China. Frothy verbiage aside, what exactly does General Votel propose? The answer — for those with sufficient patience to wade through the entire 64 pages — reduces to this: persist. In concrete terms, that means keeping on killing and enabling our “allies” to do the same until the other side is finally exhausted and gives up. In other words, it’s the movie Groundhog Day transposed from Punxsutawney, Pennsylvania, to Tampa and then to Afghanistan, Iraq, and other countries where the bodies continue to pile up. Of course, U.S. military commanders today don’t make crude references to punching holes. They employ language that suggests discrimination, deliberation, precision, and control as the qualities that define the American way of war. They steer clear of using terms like attrition. Yet differences in vocabulary notwithstanding, the U.S. military’s present-day MO bears a considerable resemblance to the approach that Ludendorff took fully a century ago. And for the last decade and a half, U.S. forces operating in the CENTCOM AOR have been no more successful than were German forces on the Western Front in achieving the purposes that ostensibly made war necessary. Westmoreland was dead wrong, as the enemy’s 1968 Tet Offensive soon demonstrated. That a comparable disaster, no doubt different in form, will expose Votel’s own light-at-the-end-of-the-tunnel assessment as equally fraudulent is a possibility, even if one to which American political and military leaders appear to be oblivious. This much is certain: in the CENTCOM AOR the end is not even remotely in view. For ordinary citizens, as former secretary of defense Robert Gates has acknowledged, armed conflict has become an "abstraction" and military service "something for other people to do." In Breach of Trust, bestselling author Andrew Bacevich takes stock of the damage this disconnect has wrought. Washington Rules is Andrew J. Bacevich's bestselling challenge to the conventional wisdom that American security requires the United States (and us alone) to maintain a permanent armed presence around the globe, to prepare our forces for military operations in far-flung regions, and to be ready to intervene anywhere at any time. An immediate New York Times bestseller, The Limits of Power offers an unparalleled examination of the profound triple crisis facing America: an economy in disarray that can no longer be fixed by relying on expansion abroad; a government transformed by an imperial presidency into a democracy in name only; and an engagement in endless wars that has severely undermined the body politic. 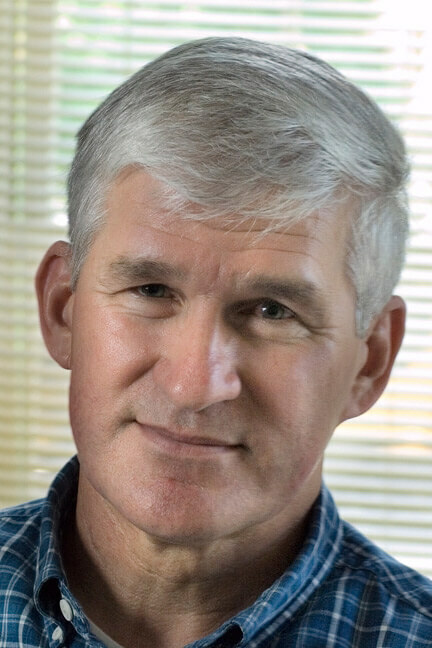 Andrew Bacevich, a professor of history and international relations at Boston University, retired from the U.S. Army with the rank of colonel. He is the author of The New American Militarism, among other books. His writing has appeared in Foreign Affairs, The Atlantic Monthly, The Nation, The New York Times, The Washington Post, and The Wall Street Journal. He is the recipient of a Lannan award and a member of the Council on Foreign Relations. A few years ago, in a college government class, I took your view in a debate/term paper on “The Limits of Power”. I thought your insight was brilliant and still do! I am now convinced that the chaos in the Middle East region has been deliberately fueled in a sort of shell game. While the American people are told we are “spreading democracy” in these countries, or “protecting human rights”, or “bringing freedom” to oppressed people, none of that is the case. I can see that the only things they are trying to protect are stolen natural resources and their own jobs and paychecks. The military-industrial complex is alive and well, and the American people continue to deny that greed has anything to do with that. But it is for that greed that we bury new sons and daughters every day.